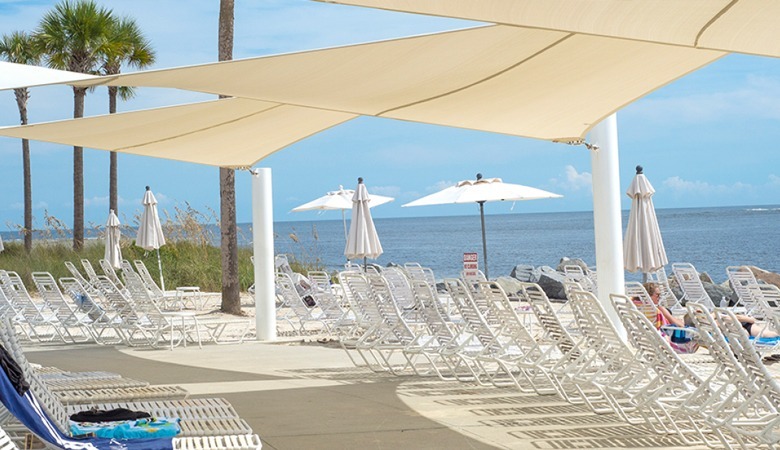 We offer a huge selection of both pre-engineered and custom designed shade and shelter products. Our shade structures are made of the highest quality materials and workmanship, capable of standing up to heavy wind loads, UV and more. 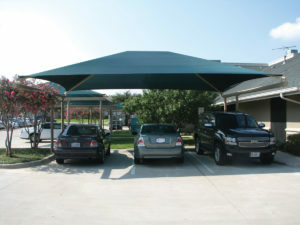 We offer a variety of styles of shade structures and metal shelter products. Our all steel shelter products are commercial grade and generally more durable and affordable than a custom built shelter. Installing a commercial shade structure or metal shelter can be a difficult task, requiring knowledge of construction principals and engineering, in many cases it may also require the use of heavy equipment. 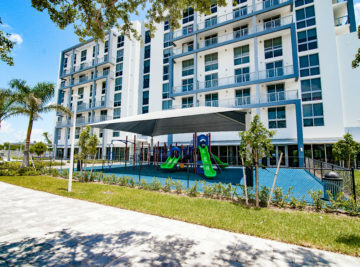 Additionally, almost every shade structure or shelter will require both permitting and engineering to make sure that it is safe and building code compliant. 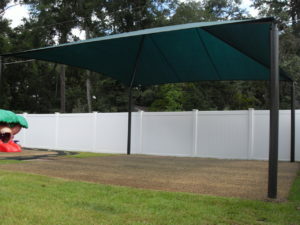 We have installed over 100 shade and shelter structures of all shapes and sizes across the United States. Our team of expert installers will make sure that your shade structure of metal shelter is installed correctly and looks beautiful. 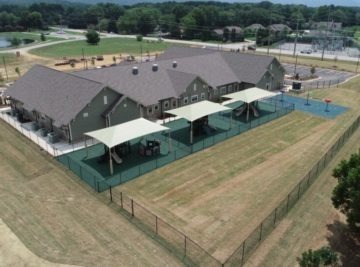 More importantly, if your shelter is being installed over a playground, we will make sure it conforms with local building codes as well as CPSC Playground Safety Standards. 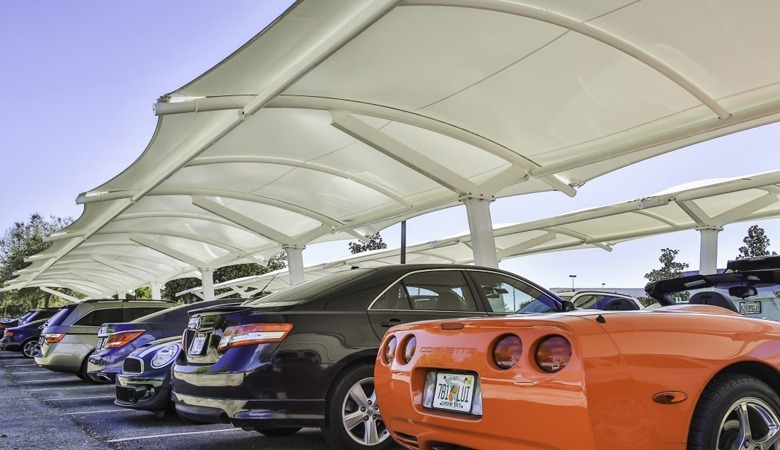 With 95% UV blocking capability, our shade structures are made to protect the people and products you love. Already know what products you need? Need help deciding what is best for your installation? 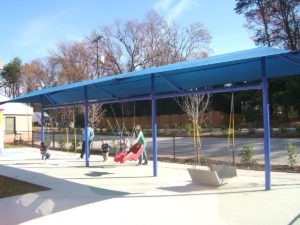 Shade structures provide a safe and cool environment for outdoor activities. 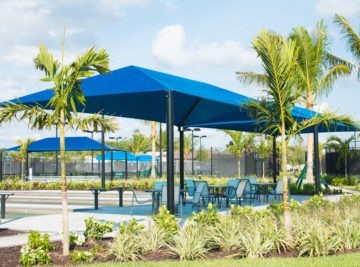 Whether its a shade structure to cover a playground, or a shade structure for an outdoor eating area, shade structures are a must have for the hot summer months. No outdoor area can truly be enjoyed when the sun is beaming down on you, making the area uncomfortable. Shade structures create an outdoor environment that is not only aesthetically pleasing, but allows for more functionality. 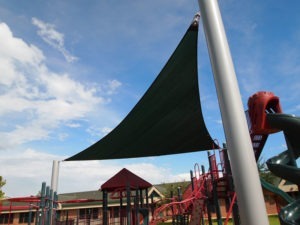 Shade structures provide protection for children in outside areas against UV rays, and also help to keep playground equipment and other objects cool to the touch. 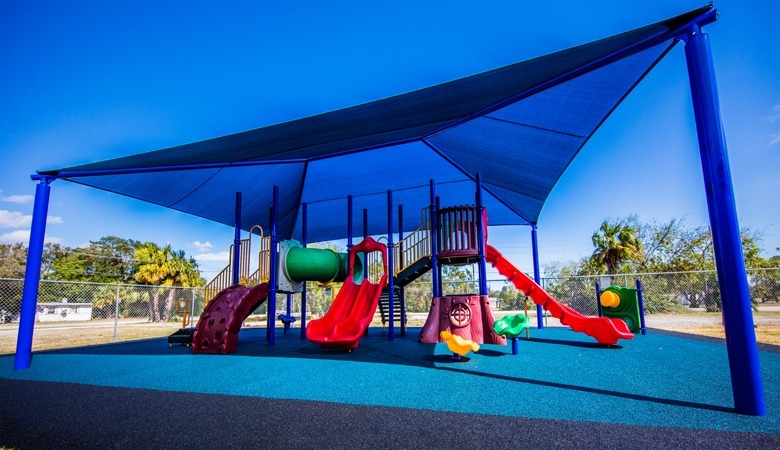 Pro Playgrounds offers the highest quality shade structures available, including sail shade structures, traditional shade structures, umbrella shade structures, cantilever shade structures, outdoor pavilions and more. We offer shade products with limitless size, color and configurations to meet your every shade need. Metal shelters and pavilions of all shapes, sizes and configurations. Traditional hip and ridge square and rectangular shade structures. 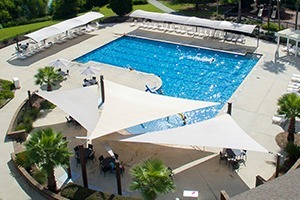 Custom designed sail shade structures. A variety of other shade structure designs including umbrella shade structures, cantilever shade structures, bench and swing shade structures and more. 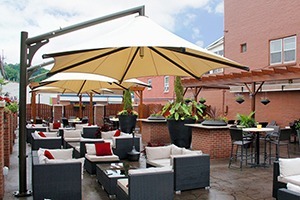 Sail shades are custom designed to fit your outdoor area. The beauty and uniqueness of a custom Sail shade is unmatched. Sail shades provide another dimension that is aesthetically pleasing whilst keeping us all protected from the harsh sun. 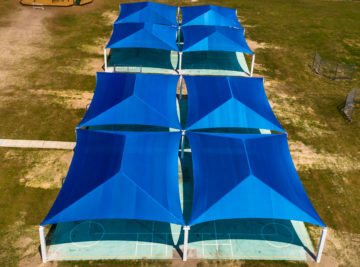 We work with the industries top sail shade structure manufactures to provide our clients with the highest quality sail shades available, custom tailored to meet your needs and budget. Our sail shades are made of the highest quality fabrics, built to withstand hurricane force winds, with the highest fire rating available. 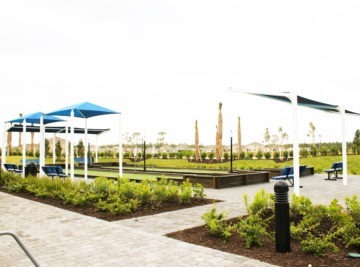 Unlike other cheaper manufacturers who import their fabrics from China, all of our shade structures are manufactured here in the USA and carry lifetime warranties, something our competitors cannot provide. Our team of experts has more experience than any other company in the United States at designing and installing shade structures. With a hot summer soon approaching, now is a great time to install a beautiful outdoor shade structure and keep cool this season. 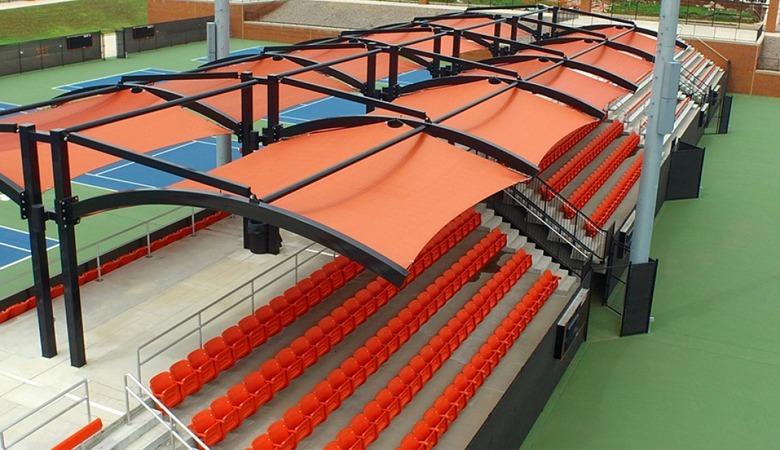 Our shade structures are custom designed to meet your needs and specifications, including size and color. Most of our shade structures can be ready for installation in less than three weeks, and in most cases our shade structures are installed and ready for use in less than a day. Classic construction meets modern design. 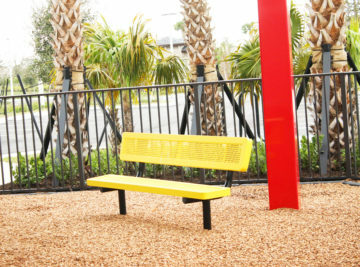 Our metal shelter products make your park, school or community area more enjoyable! 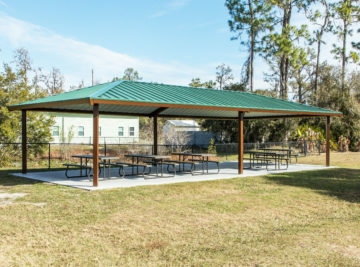 Whether you’ve been trying to find the right sun shelter, outdoor shelter or park shelter, we’re the company you can trust for the unique, durable and attractive structures that create just the right spaces for you. Our large product line includes kiosks, mini and large shelters, pergolas and gazebos, available in various sizes and styles. At schools, parks and custom locations, these shelters provide sun and weather protection while also beautifying your space. All of our units are designed by professional engineers, ensuring they are safe, strong and stable. A. UV shade fabric is made of UV stabilized cloth manufactured by ALNET, or approved equal. B. The high density polyethylene material shall be manufactured with tensioned fabric structures in mind. C. The fabric knit is to be made using monofilament and tape filler which has a weight of 9.38 to 10.32 oz. sq. yd. Material to be Rachel-knitted to ensure material will not unravel if cut. D. Burst strength of 828 lbf (ASTM 3786). A. Shall be 100% expanded PTFE fiber which carries a 10 year warranty that is high strength and low shrinkage. B. Shall have a wide temperature and humidity range. C. Abrasion resistant and UV radiation immunity. D. Shall be unaffected by non-hydrocarbon based cleaning agents, acid rain, mildew, rot, chlorine, saltwater, and pollution. E. Lockstitch thread – 1200 Denier or equal. F. Chain stitch thread – 2400 Denier or equal. A. All fabricated steel must be in accordance with approved shop drawings and calculations. B. All steel is cleaned, degreased or etched to ensure proper adhesion of powder-coat in accordance with manufacturer’s specifications. C. All Steel used on this project needs to be new and accompanied by the mill certificates if requested. Structural steel tubing up to 5”-7 Gage shall be galvanized per Allied Steel FLO-COAT specifications. Schedule 40 black pipe fabrications shall be sandblasted and primed as described below. D. All non-hollow structural shapes comply with ASTM A-36, unless otherwise noted. E. All hollow structural steel shapes shall be cold formed HSS ASTM A-53 grade C, unless otherwise noted. F. Plate products shall comply with ASTM A-36. A. All non-galvanized steel shall be sandblasted and primed prior to powder coating using brown fused aluminum oxide grit and the following primer. B. All non-galvanized steel must be coated with rust inhibiting primer prior to applying the powder coat. Primer shall be Marine Grade Cardinal Industrial Finishes Corp. E396 – GR1372 epoxy powder coating semi-gloss smooth zinc rich primer. C. Welds shall be primed with rust inhibiting primer prior to applying the powder coat. Primer shall be Marine Grade Cardinal Industrial Finishes Corp E396-GR1372 epoxy powder coating semi-gloss smooth zinc rich primer. D. All steel parts shall be coated for rust protection and finished with a minimum 3.5 mil thick UV-inhibited weather resistant powder coating. o ASTM D2794-93| Dir/Rev Impact, Gardner | 140/140 in./lbs. A. All shop welds shall be executed in accordance with the latest edition of the American Welding Society Specifications. B. Welding procedures shall comply in accordance with the AWS D1.1-AWS Structural Welding Code-Steel. C. All welds to be performed by a certified welder. All welds shall be continuous where length is not given, unless otherwise shown or noted on drawings. D. All welds shall develop the full strength of the weaker member. All welds shall be made using E70xx.035 wire. E. Shop connections shall be welded unless noted otherwise. Field connections shall be indicated on the drawings. Field –welded connections are not acceptable. F. All fillet welds shall be a minimum of ¼” unless otherwise noted. G. All steel shall be welded shut at terminations to prevent internal leakage. H. Internal weld sleeving is not acceptable. I. On-site welding of any component is not acceptable. A. On-site sewing of a fabric will not be accepted. B. All corners shall be reinforced with extra non-tear cloth and strap to distribute the load. C. The perimeters that contain the cables shall be double lock stitched. A. Bolt and fastening hardware shall be determined based on calculated engineering loads. B. All bolts shall comply with SAE-J429 (Grade 8) or ASTM A325 (Grade BD). All nuts shall comply with ASTM F-594, alloy Group 1 or 2. C. Upon request, Stainless Steel hardware shall comply with ASTM A-304. D. 1/4” galvanized wire rope shall be 7×19 strand with a breaking strength of 7,000 lbs. for shades generally under 575 sq. ft. unless requested larger by the customer. For shades over 575 sq. ft., cable shall be 5/16” with a breaking strength of 9,800 lbs. Upon request, 1/4” Stainless Steel wire rope shall be 7×19 strand with a breaking strength of 6,400 lbs. 5/16” Stainless Steel wire rope shall be 7/19 strand with a breaking strength of 9,000 lbs. E. All fittings required for proper securing of the cable are hot dipped galvanized. A. Concrete work shall be executed in accordance with the latest edition of American Concrete Building Code ACI 318 unless specified by the governing municipality. C. All reinforcement shall conform to ASTM A-615 grade 60. D. Reinforcing steel shall be detailed, fabricated and placed in accordance with the latest ACI Detailing Manual and manual of Standard Practice. F. The contractor shall not pour any concrete when daily ambient temperature is below 55° F.
A. All anchor bolts set in new concrete shall be ASTM A-307, or ASTM F-1554 if specified by engineer. B. All anchor bolts shall be zinc plated unless specified otherwise. C. Footing shall be placed in accordance with and conform to engineered specifications and drawings. These are great for structural stability of the shelter and prevention of vandalism on the roof edges. Our hardware connections are hidden within the beams to provide aesthetic elegance. 1. Blast to White: Blast all steel to “White” condition to remove all surface rust and oil. This process insures a raw steel finish for proper adhesion for Stage 4 (Zinc TGIC Powder Prime Coat). 2. Air Induction Cleaning: Remove dust from the blast process in stage 1. 3. Preheat Steel: Pre-Heat steel at 1.5 ft per line minute for 13ft in IR oven to a temperature of 250 Degrees to prepare steel for Stage 4 (Epoxy TGIC Powder Coating Zinc Rich Primer Process). 5. Top Powder Coating Color: This stage is the Electrostatic application of TGIC Top Powder Coat at 3 mils. This application, along with the Stage 4 Epoxy TGIC Powder Coating Zinc Rich Primer, produces a total of 6 mils of finished Powder Coating and has tested at 5,000+ hours using the ASTM Method B117. It is important to note that testing was discontinued at 5,000 hours. 6. Curing Process: The final stage is the final cure of coatings at 450 degrees for 30 minutes. 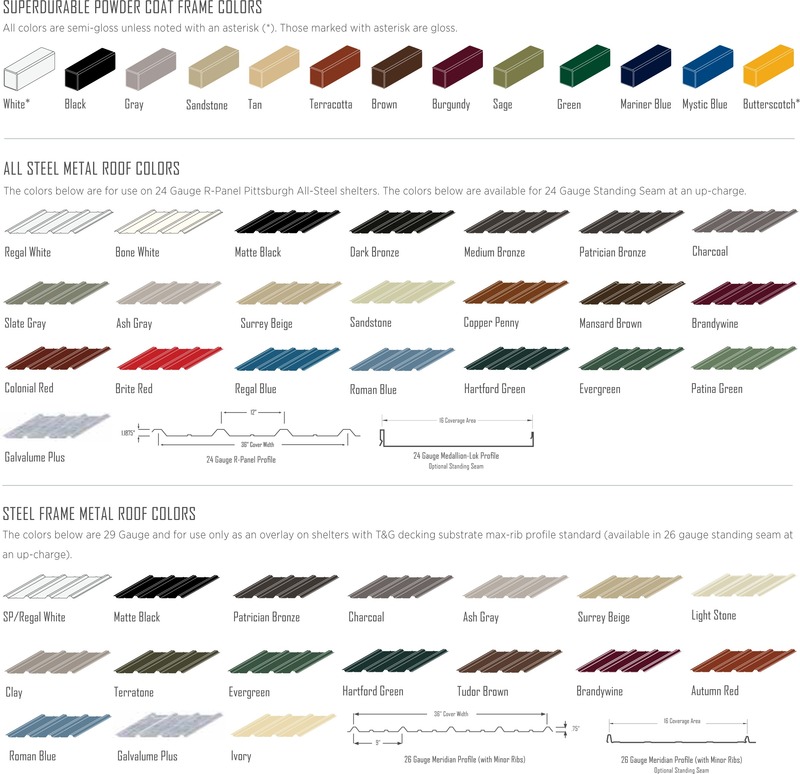 • 24 GAUGE R-PANEL METAL ROOF PANELS: Roof decking will be a minimum 24 gauge steel panels, featuring a galvalume substrate and Kynar 500 coating selected from our standard offering of 22 colors (Color Sheets Available). All trims (except Panel Covers — 24 gauge) shall be 29 gauge and match the roof panel color. • 24 GAUGE MEDALLION-LOK METAL ROOF PANELS: Roof decking will be a minimum 24 gauge steel panels, featuring a galvalume substrate and Kynar 500 coating selected from our standard offering of 22 colors (Color Sheets Available). All trims (except PanelCovers — 24 gauge) shall be 29 gauge and match the roof panel color. 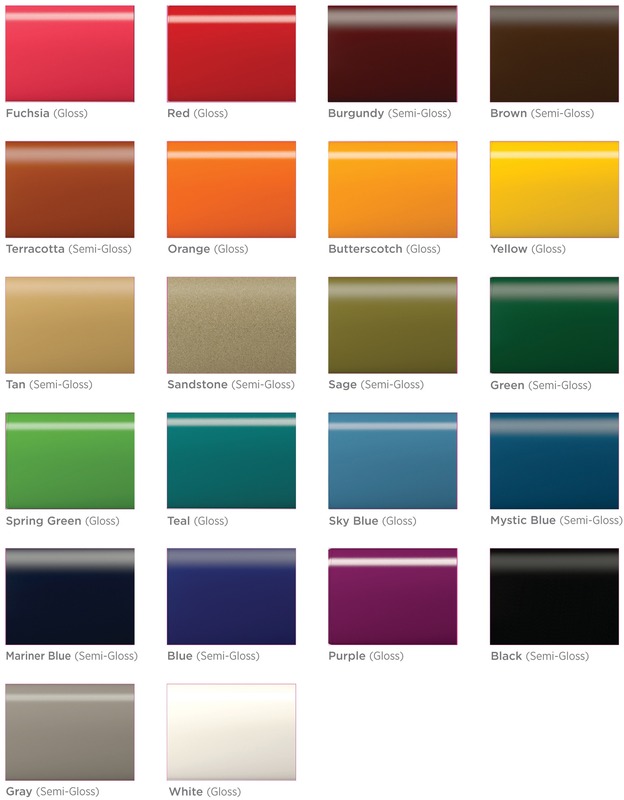 • 26 GAUGE MERIDIAN METAL ROOF PANELS: Roof decking will be a minimum 26 gauge steel panels, featuring a galvalume substrate and Kynar 500 coating selected from our standard offering of 17 colors (Color Sheets Available). Eave and hip trims shall be 29 gauge provided of the same color. • 29 GAUGE MAX-RIB METAL ROOF: Roof decking will be a minimun 29 steel panels, featuring a galvalume substrate and Kynar 500 coating selected from our standard offering of 17 colors (Color Sheets Available). Eave and hip trims shall be 29 gauge provided of the same color. 1. Description: Accelerated Weathering | Method: ASTM G 23 | Galvalume Substrate with Fluropan Coating: Hours: 2,000 — Chalk Rating 9 — Color: 2 (triangle) E Max. 2. Description: (QUV) | Method: ASTM G 53 | Galvalume Substrate with Fluropan Coating: Hours: 2,000 — Chalk Rating 9 — Color: 2 (triangle) E Max. Will I Need a Permit For My Shade Structure? This will depend on where you live and the local requirements. Check with your local building department before ordering. Can you Custom Design a Shade for my Needs? Yes! We custom design shades of all shapes and sizes for our clients. If you do not see a shade that fits your needs, let us know and we will design it. We cans custom design and engineer shades to meet your needs, wind loads and local building requirements. There are design limitations to shades in terms of height and size. How much does it cost to install a shade? This will vary greatly from shade to shade. Generally about 50% of your costs of a shade project will go to the installation, the larger the shade the more expensive it is to install. Most shades will ship in four to six weeks from the date of purchase. Each shade is made to order and customized for you. How will my shade structure arrive to me? Most shade structures will arrive on a long pallet or skid, depending on the size of the unit. The skid can be unpacked and unloaded by hand, or machinery may be used to unload it. The driver will not assist with unloading. Some shades which are very large and thus very heavy will require machinery to unload. 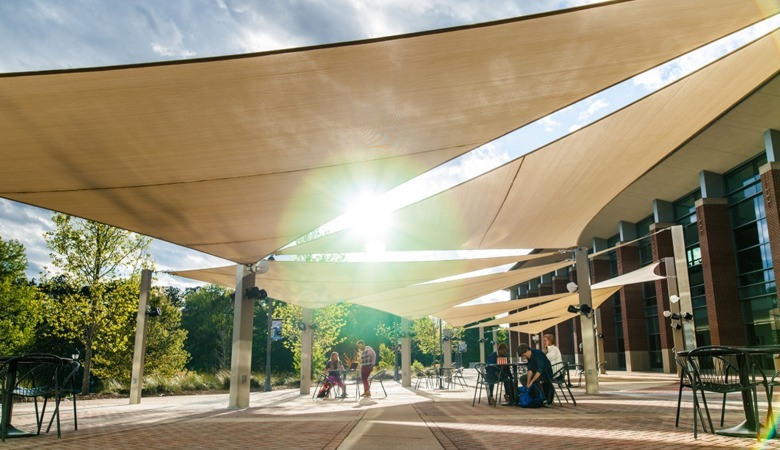 Can we install shade structures ourselves? Yes! All of our shade and shelter products come with detailed instructions and requirements for tools. Is the shade fabric flame resistant? 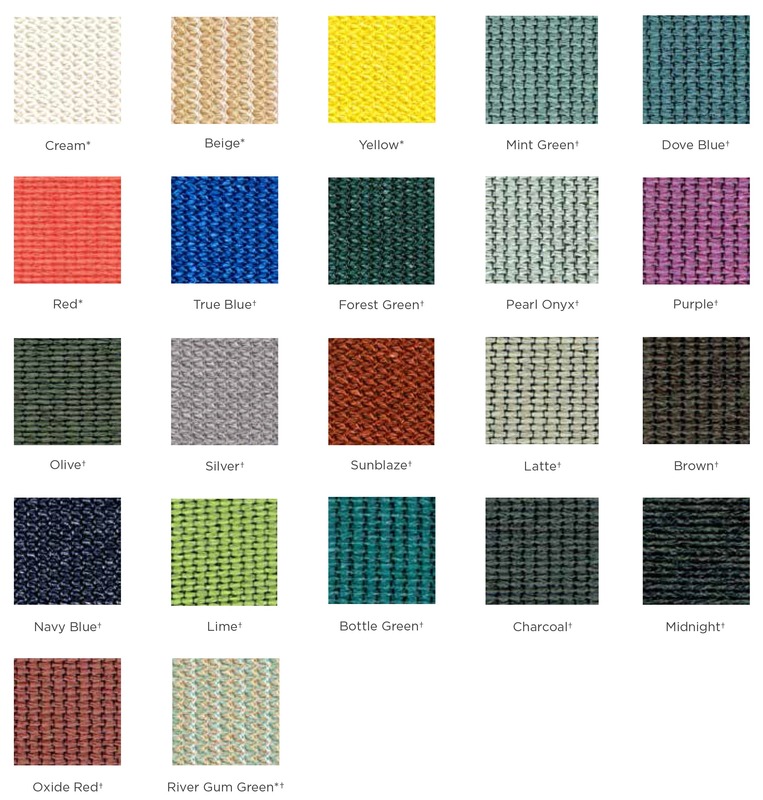 We have several different fabric colors, those marked with “CFM” after the name are flame resistant. Will you shades stand up to hurricane force winds? We can engineer your shade and shelter structure to meet required windloads. • The warranty set forth shall be the purchaser’s sole and exclusive warranty. • All warranties below are effective from the date of delivery by Pro Playgrounds, its subsidiaries or agents. 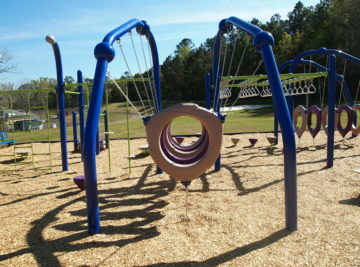 • Pro Playgrounds reserves the right to repair or replace any item covered by this warranty. • This warranty will be void if the structures are not paid for in full. The warranty is void if the structures are not installed in strict compliance with the manufacturer specifications. • Purchaser shall notify Pro Playgrounds or its agent in writing detailing any defect for which a warranty claim is being made. • Pro Playgrounds shall not in any event be liable for indirect, special, consequential or liquidated damages. • Pro Playgrounds specifically denies the implied warranties of fitness for a particular purpose and merchantability. • The warranty is void if any changes, modifications, additions or attachments are made to the structures or fabric without the written consent of the manufacturer. • No signs, objects, ornaments, fans, lights, fixtures or decorations may be hung from the top part of the structure, unless specifically designed and engineered by the manufacturer. These items may interfere with the fabric causing the warranty to be voided. • 1 year limited warranty on all moving party and any item not specifically listed above. • Shall be 100% expanded PTFE fiber that is high strength and low shrinkage which carries a 10 year warranty. • This warranties that the sewing thread will be free from defects in material and workmanship and will not be damaged by exposure to sunlight, weather and water. • All other warranties disclaimed. 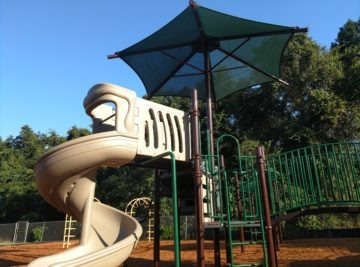 • Pro Playgrounds fabrics carry a ten-year limited manufacturer’s warranty from the date of delivery against failure from significant fading*, deterioration, breakdown, mildew, outdoor hear, cold or discoloration. Should the fabric need to be replaced under the warranty, Pro Playgrounds will manufacture and ship a new fabric at no charge for the first six years, thereafter pro-rated at 18% per annum over the last four years. *The colors Red and Yellow are warranted against significant fading for only two years. • If the corners of the fabric are equipped with both holes in the fabric corner PLUS reinforcing straps, BOTH the strap and fabric hole must be placed over each corner hook or the fabric warranty is void. • Fabric curtains, valences or flat vertical panels are not covered under the warranty. • Fabric is not warranted where it is installed on a structure that is not engineered and built by Pro Playgrounds or its agents. • This warranty shall be void if damage to or failure to the shade structure is caused by contact with chemicals, chlorine, bleaching agents, hydrocarbons or hydrocarbon containing solvents, misuse, vandalism or any act of God, including but not limited to wind in excess of the wind limitations set forth below. • All fabric tops are warranted for sustained winds up to 76mph (hurricane force 1) and for gusts of up to 3 seconds duration up to 90mph. Removal of the shade fabric is required if damaging winds are called for. Damage due to snow and/or ice accumulation is not covered by this warranty. Canopies should be removed during the “off season”. • The structures have been designed to eliminate any friction between the rafters and the fabric. The warranty will, therefore, be voided if any modification (temporary or permanent) is made to the rafter, cross pieces or ridge beams, or fastening apparatus is not secured accordingly. 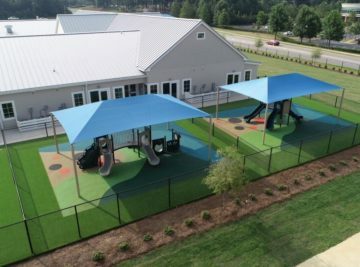 • Pro Playgrounds reserves the right, in cases where certain fabric colors have been discontinued, to offer the customer a choice of available colors to replace the warranted fabric of the discontinued color. The company does not warranty that any particular color will be available for any period of time and reserves the right to discontinue any color for any reason it may determine, without recourse by the owner of the discontinued fabric color. • The structural steel frames are covered for a period of twenty years against failure due to rust-through corrosion under normal environmental conditions. • Workmanship is warranted for a period of five years. 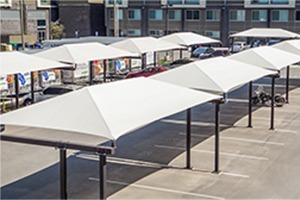 • Structures are warranted for winds up to 150mph only if shade canopies have been removed as per requirement set forth above in the fabric paragraph. Removal and reinstallation must be performed by a qualified person or authorized dealer following the instructions in APPENDIX A (please request). • This steel warranty shall be void if damage to the steel frame is caused by the installer or from physical damage, damage by salt spray, or sprinkler systems, contact with chemicals, chlorine, pollution, misuse, vandalism, or any act of God. • The factory applied powder coat finish is warranted for a period of 5 years under normal environmental conditions. This warranty does not cover cosmetic issues such as fading, discoloration, or weathering. • This finish warranty shall be void if damage to the powder coat is caused by the installer, or from physical damage, damage by salt spray or sprinkler systems, contact with chemicals, chlorine, thinners, degreasers, hydrocarbon containing solvents, pollution, misuse, vandalism or any act of God, including but not limited to, ice, snow or wind in excess of the applicable building code parameters. The owner must report any defects in the powder coat at the time the installation is completed. • This warranty does not cover natural disasters, such as earthquakes, shifts of terrain or tornados. If the structure is installed in an area exposed to hurricanes, removal of the shade fabric is required when a hurricane warning is issued. NOTE: lt is the customer’s responsibility to verify the delivery ís for the correct product, count the number of pieces being delivered and inspect for damages PRIOR to signing the proof of delivery provided by the driver. All discrepancies or visible damages MUST be notated on the delivery receipt. All delivery discrepancies including damages must be called into our Customer Care Department listed on the delivery receipt within 72 hours of delivery. We DO NOT guarantee replacement parts or product FREE of charge due to concealed or unreported damages. 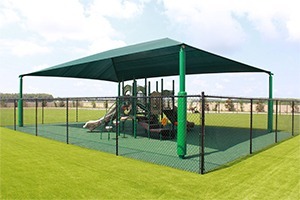 Playground shade structures are a great way to protect your children and your equipment from damaging UV rays. 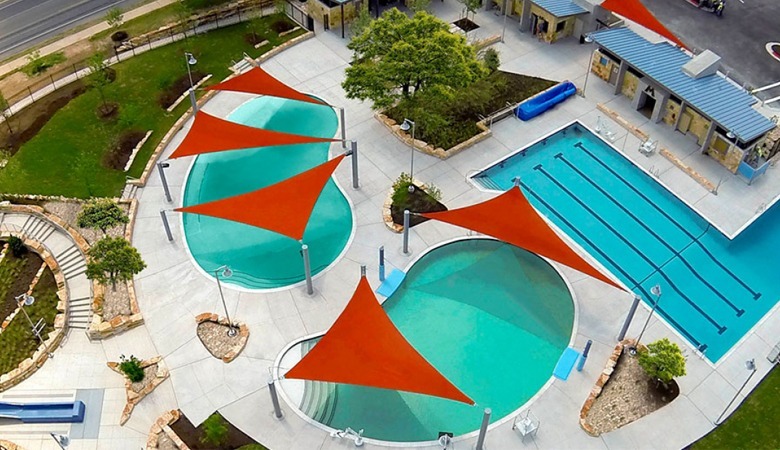 Pool shade structures help to make your community pool more inviting and user friendly during the hotter months. Automotive shades help keep your patrons cars cool and protect paint finishes from damaging heat and UV radiation. Shades provide a comfortable, cool environment for customers, they stay longer and return often. 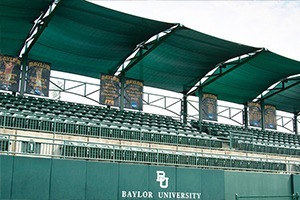 Shades are a great addition to athletic and outdoor areas, providing cool places for athletes, families and spectators.